Congratulations Walmart! The Walmart press release posted here announces a pilot program in which Talking Prescription Containers will be available for blind Walmart customers across the country through Walmart mail order, and also for blind customers at three Walmart stores. This is the first time in the United States that a national pharmacy retailer has piloted talking prescription technology on a national basis. Wal-Mart is working with En-Vision America, maker of the ScripTalk talking prescription program. The release is the result of Structured Negotiations among Walmart, the American Council of the Blind, the American Foundation for the Blind and the California Council of the Blind. The blind organizations are represented by The Law Office of Lainey Feingold, and Linda Dardarian of the Oakland civil rights firm Goldstein, Demchak, Baller, Borgen and Dardarian. BENTONVILLE, Ark. (June 8, 2012) – Walmart (NYSE: WMT) announced today that it is piloting a test program with En-Vision America to offer ScripTalk, a talking prescription system that provides those who cannot read standard print a safe and easy way to access the information on their prescriptions. ScripTalk is currently being offered to customers with visual impairments across the country through Walmart Mail Order and in three test stores. The program is free to Walmart pharmacy customers who are blind or visually-impaired. Walmart is committed to offering affordable healthcare solutions to its customers, including those with disabilities. The retailer is always testing new programs to meet customers’ needs and is working closely with the American Foundation for the Blind, the American Council of the Blind and the California Council of the Blind to pilot this service for customers with visual impairments. 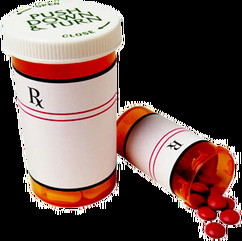 A prescription provided with ScripTalk has an electronic chip embedded in the standard print label. To hear the information on the chip, the customer simply places the prescription container on the ScripTalk device and presses the button. Interested customers who either presently fill or would like to fill prescriptions through Walmart Mail Order or at the pilot stores listed can contact En-Vision America at 800-890-1180 to request a free ScripTalk Talking prescription reader. Wal-Mart Stores, Inc. (NYSE: WMT) serves customers and members more than 200 million times per week at more than 10,130 retail units under 69 different banners in 27 countries. With fiscal year 2012 sales of approximately $444 billion, Walmart employs more than 2 million associates worldwide. Walmart continues to be a leader in sustainability, corporate philanthropy and employment opportunity. Additional information about Walmart can be found by visiting http://walmartstores.com and on Twitter at http://twitter.com/walmart. Online merchandise sales are available at http://www.walmart.com and http://www.samsclub.com. This is the post about Walmart’s pilot program offering talking prescription containers to blind customers. The Talking pill bottles are available to blind Walmart mail order customers. They are also offered in three Walmart stores. This is the first time in the United States that a large pharmacy retailer has made talking labels available to its customers.